When you hear about malnutrition, it’s easy to tune it out. 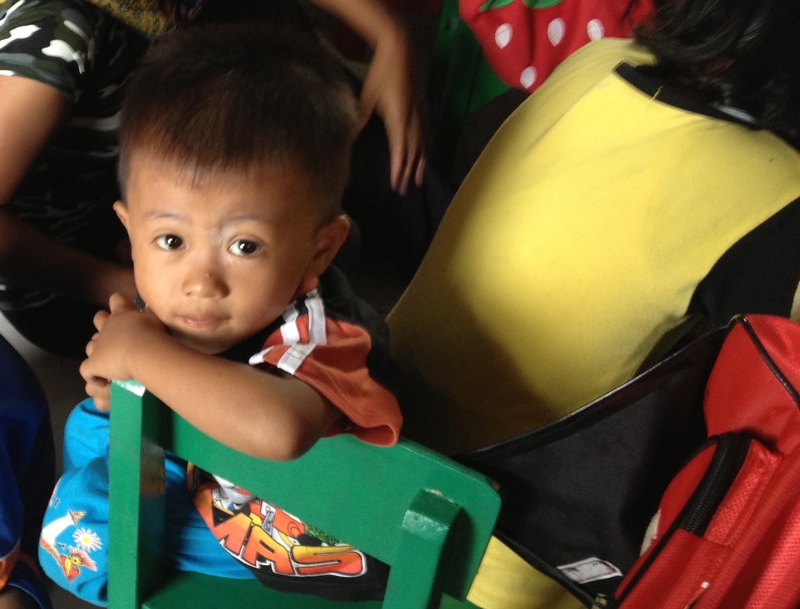 Reading that there are over 9.5 million children in Indonesia under five years of age who are malnourished is an abstract concept, and is easy to put in a box of issues to deal with later. But when you see the effects of malnutrition in the lives of children that you personally know—it hits home in a whole new way. It’s no longer just statistics on a page—it’s your reality. 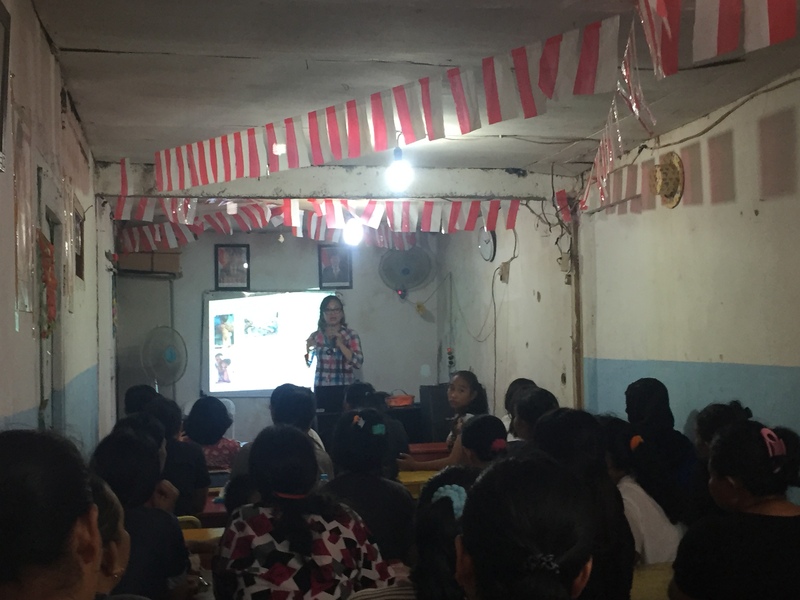 Over the last year and a half I have been working in two slum communities in the Greater Jakarta area. Reduced cognitive development isn’t a scientific term to me anymore—it’s the inability of the children in my kindergartens to progress to the next school level at a normal rate. It’s seeing the kids stay half the size of other children that you see in the mall. It’s seeing them not be able to develop like other children because they aren’t receiving the proper nutrition. But once you see the problem, what do you do about it? As a first attempt to address malnutrition, with the help of very generous donors, I started a healthy food supplement program at each of our three kindergartens. We made sure that each child had protein, a vegetable, and a piece of fruit at least three times per week. I found that families were willing to participate, but as I got to know the mothers, I learned that they needed much more than simply food donations. I came to understand that the moms needed to learn what they should be feeding their children, why it is important for them to get a variety of food types, and how to cook healthy foods they had never prepared. Not only was the problem deeper than simply not having enough food, but it was also targeting the wrong age group. The window to prevent stunting is in the first 1,000 days of a child’s life (conception to two years of age). That’s when I decided that I wanted to start a health education seminar series for women in the community—because by working with the moms, we can have a deeper impact on the health of the community. My vision was to take 20 mothers through a four part series on nutrition, immunizations, sanitation, and family planning at each of our kindergarten locations. At the end of the series I want to hold a special award ceremony for those mothers who make it all the way through the four sessions. Last week the beginning of my dream became a reality. 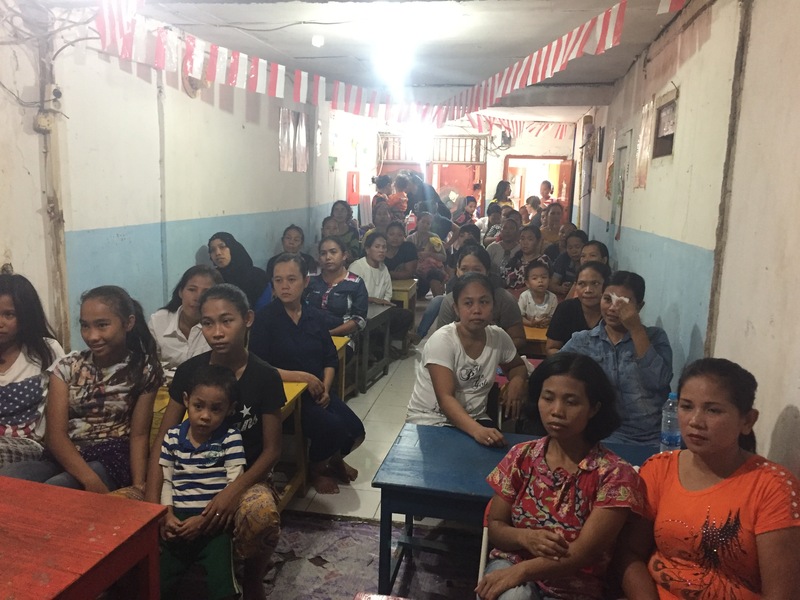 I arrived at our kindergarten in Muara Baru, where we were going to hold the seminar, and instead of the 20 women I expected to come, there were over 40—there physically was no more space in the building for more women. And not only did they just come and sit through the session—but they engaged with our volunteer doctor and asked questions because they want to learn more and help their children succeed. I realize that we still have a long road ahead, but I think it’s important to celebrate the first step!